Transform stylish interior décor into tasteful winter wonderlands by incorporating seasonal decorations into a gallery wall. Before tackling the project, review these five tips for success. Begin by sorting holiday items before placing any throughout the home. Remove large paintings or clear a floating bookshelf so space is ready for festive décor. The addition of holiday decorations on top of year-round displays often becomes too cluttered. With sorted décor and a cleared wall, collect project tools. Creating a gallery wall requires fasteners such as nails, temporary hooks, mounting tape or screw hooks. Gather a hammer, tape, a pencil, craft paper, a ruler, level and the gallery items. 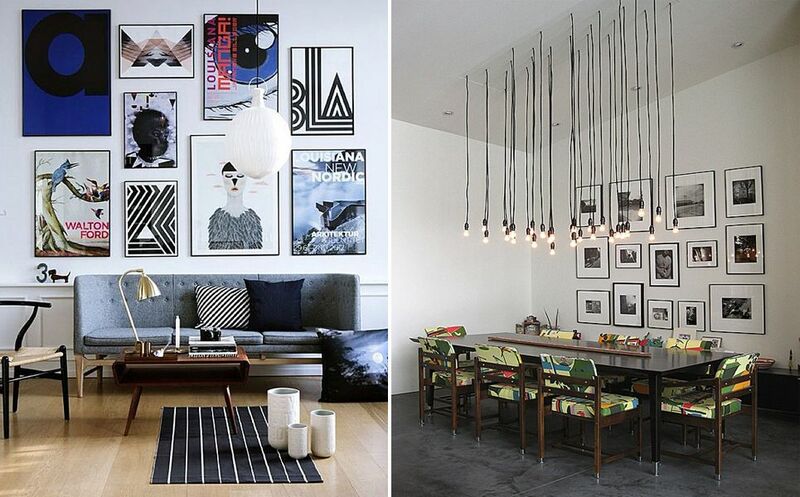 The best gallery walls are made of a variety of shapes, colors, textures, patterns and media. 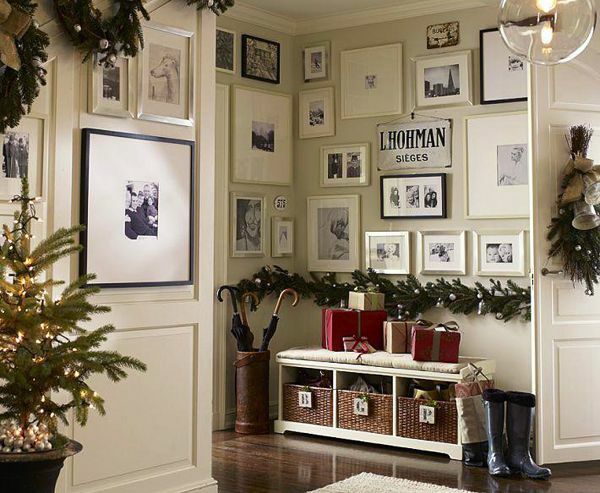 A holiday gallery wall might include a wreath, stockings, framed Santa photos, holiday cards on a display ribbon, religious paintings or ornaments. 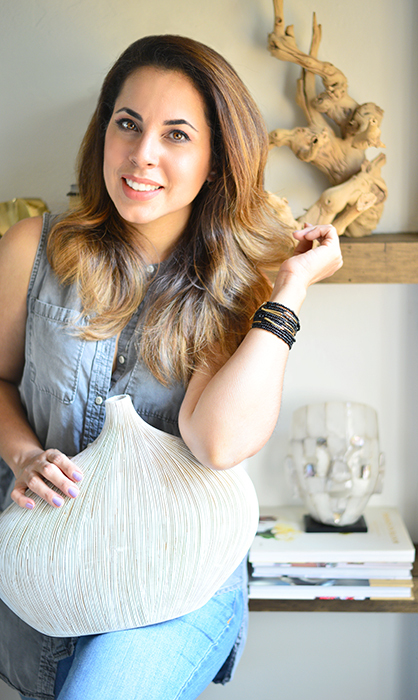 Other popular gallery items include clocks and faux flowers for additional texture. Include a floating shelf with candles or a mirror to reflect the soft light of the season. Lay out a large piece of craft paper on the floor as a backdrop to test arrangements. 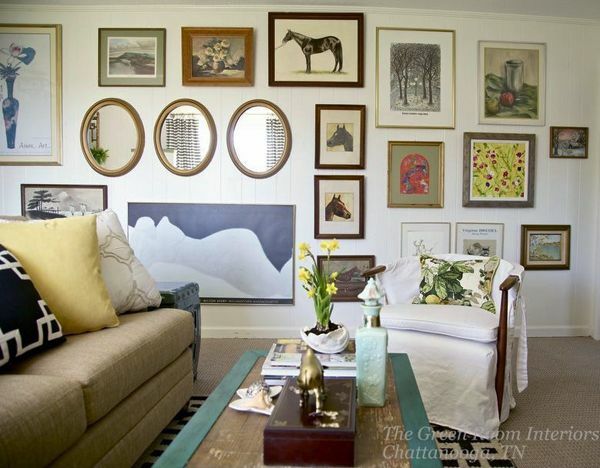 The paper should be as large as the desired gallery wall. Check where studs are located on the wall, which dictate where heavy items can hang. Arrangements follow no hard-set rules; go with what’s appealing. It’s recommended to start an arrangement with the most prominent piece anchored just off center and around eye-level for gallery balance. Next, place the remaining pieces at a uniform distance from each other for symmetry. Create color balance by including an equal amount of dominant colors throughout the gallery. Consistency of colors and shapes is preferred by some, where varied styles create intriguing galleries. Struggling with inspiration? Check out homes on Zillow for trending home designs and explore images of interiors on Zillow Digs™. After completing the arrangement, trace each item on the craft paper. Measure the distance from the tops of frames to their hooks and mark measurements on the paper. Remove the artwork and tape the paper to the wall. Install nails or screws right through the paper over the pencil marks. When finished, pull away the paper and hang artwork. Avoid hammering holes in the wall with this variation. After measuring hook placement for each piece, poke a small hole where the fastener should be instead of a pencil mark. Tape the paper up to the wall and make pencil marks in the small holes, right on the wall. Remove the paper and install removable hooks over the pencil marks. Hang keepsakes using a level. Add a couple strips of mounting tape to heavy pieces for extra reinforcement. Holiday gallery walls are popular focal points for visiting guests, plus festive favorites get major exposure for residents.